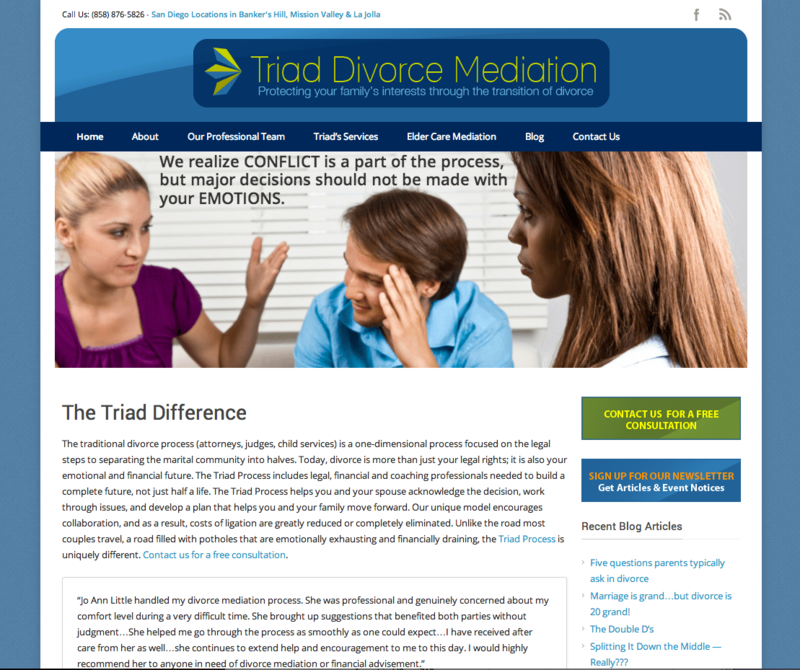 This is the homepage of the new website I designed for Triad Divorce Mediation. 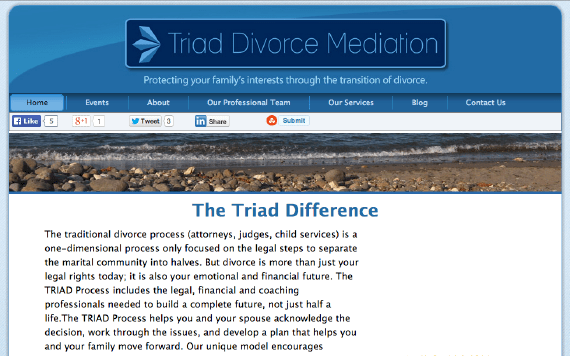 Below that, is the homepage of the former site, which had many visual barriers to get from the header to the content below. The social media sharing buttons, and ocean image, which was unrelated to their services, stood between the heading and the content below. The old logo was also too dark and hard to read.